The need for Star Watch assistance is heating up within the galaxy. With their resources quickly thinning, Ricket and a small team are sent to Port City, on the planet Eriok. Here Ricket’s adventure begins, and he’ll have to use every bit of his technical cunning to survive, because what’s waiting for him will alter the course—for both Star Watch and Ricket forever. Many light-years away, there’s a new spatial land-grab in process by the Darion Cartel—their expanding fleet of warships, led by Captain Mar Oswaldo, the Manfred von Richthofen (the Red Baron) of space … a masterful starship captain who’s never been defeated in battle, and he’s ready to come up against the commander of Star Watch, Captain Jason Reynolds. Join the Star Watch team as they encounter both new and old adversaries. Be prepared to say goodbye to a beloved crewmember—one who has been with them since the very beginning. Interactive! This book is somewhat different than any of the others written previously. Between the two series, Scrapyard Ship and Star Watch, there are thousands of pages detailing the various space crafts. I've now integrated small, clickable, ship icons throughout the book that (for those with web-enabled e-readers or access to a PC) provide detailed ship layouts and even individual compartments, such as the Bridge or Medical views on my website. It's fun and adds a new aspect to the reading experience. Enjoy! 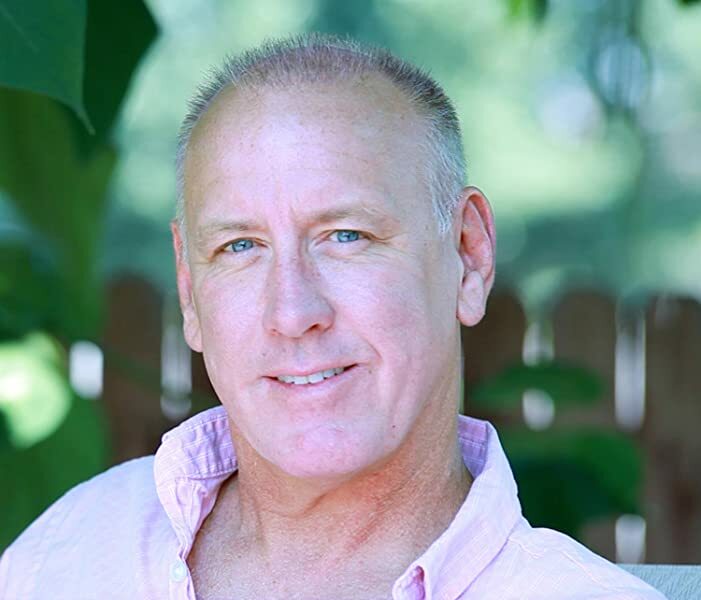 Mark Wayne McGinnis is the best-selling author of the Star Watch and Scrapyard Ship series books, as well as the Lone Star Renegades and Tapped In series. Born in Westchester County, New York, Mark grew up in Westlake Village, CA, and currently he and his wife, Kim, live near Boulder Colorado. They have two dogs, Rika and Sammi. 5.0 out of 5 starsBack for the future. I've been reading science fiction on and off for almost 60 years, and some of my fondest memories are of the pulp-like works of Robert Heinlein and Andre Norton. 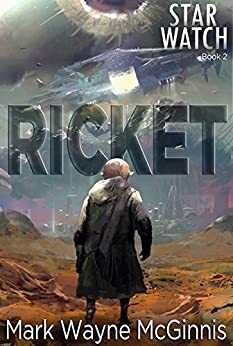 Ricket, my first read by Mark Wayne McGinnis, strongly reminded me of those days of personal discovery of other universes. The premises, pacing and resolutions kept my attention from start to finish, leaving me wanting more. Given McGinnis's apparent productivity, I don't think I'll have to wait long. Even if Heinlein and Norton are unfamiliar names for you, keep Ricket in mind. It's definitely worth a look. I really enjoyed this book more than some of the previous ones. Although there is one chapter with extensive killing which I don’t like. For the most part it is about hi tech things and positive outcomes on most situations that are encountered. I am looking forward to the next book and if available will be down loading it next. This is one of the best books I've read in some time. For those of you who are engineers, you will absolutely love this book. I enjoy all of the Scrapyard series of books but I must say that it think this is the very best of the series. I love that I can never guess where they are going with the plot. The stories are complex and exciting. Read and enjoy!!! 4.0 out of 5 starsWhat a rush! There's a new bad ars in play, Captain Oz. A genius battle tactician and he's not playing nice. So many positives and negatives have taken place, it seems like a reflective balance of good and bad or left and right is at work, somewhere, to keep existence somewhat centered. I find it interesting to contemplate the dark side. The characters are so stimulating, and yet, I know I can't exist in that dark place, it's not where I belong or who I am, and I'm grateful for that. Although I thought this book would focus more on the adventures of Ricket, he was still quite active and becomes himself a powerful being, probably more advanced then anyone can guess. If your looking for a electrified ride of survival in outer space against seemingly invincible foes, start with book 1 of 7 of the Scrapyard series and read your way up to here and beyond with this new related series, Star Watch. This book and series is a good read. But to really enjoy it you have to read from the fist book on. Otherwise you will miss the character development an not enjoe the sutleties and interaction of the many and various characters. Well worth the time to acguire the series from book one and read from the beginning of the series, specifically to understand the evolution of Rickett. Having read book 3, I'll grant it was - barely - necessary to explain some of the 'new' technology. But this book just dragged. The fun was in watching Harry Houdini escape, not listening to him mumble how the hole in the trunk really needs to be patched and the hasp on that lock needs oiling. Ricket says it can't be explained in words and then there are 30 pages of words trying to explain it. I get limits and difficulties are required - otherwise magic tech doesn't allow for story (i.e, Star Trek invents the transporter and then 30+ episodes have to invent a reason why it can't be used). I've been an avid fan since book 1. I felt a little let down when the direction of the plot shrunk to a civilian law enforcement authority, but it didn't take long to inflate to its original scope. This one turned out to be one of the best in the entire series. It started as a pirate chasing venture, but quickly became a complex set of adventures when the familiar set of galactic bad guys showed up again. I thoroughly enjoyed the book, and I give high points to the author for the ability to keep a long story alive with fresh, surprising ideas, and novel twists. It didn't hinder the plot in any way, but the ending seemed to me to be a little hurried. In the last few pages, Dira, the love of Jason's life, was apparently fatally injured earlier, but miraculously recovered with little explanation or excitement. The book was almost over at that point, but it seemed a little unusual compared to the amount of coverage less significant events received earlier. Another enjoyable element was giving the spotlight to Ricket for a while. This enigmatic character long deserved celebrity status. Mr McGinnis writes better female characters than male: his leads tend to be a little two dimensional Ricket's weirdness lifts him above the somewhat cardboard warriors surrounding him. The Star Watch universe continues to fascinate and my curiosity far outweighs any criticism of the series. Recommended for any readers with a special recommendation for those who are prepared to invest the time to read the series was opposed to individual books.